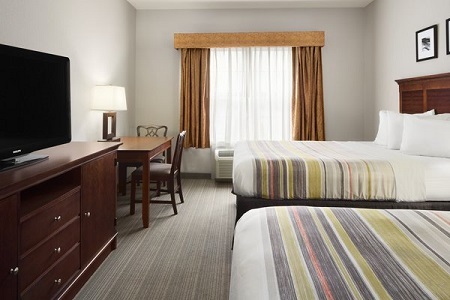 With a location just off I-70 and near a variety of attractions in Columbus, the Country Inn & Suites® by Radisson, Columbus West, OH is a premier choice for guests visiting the area. Take your kids to explore the exhibits at the Center of Science and Industry, or interact with animals at the Columbus Zoo and Aquarium. Root for the Buckeyes at Ohio Stadium, and then test your luck at Hollywood Casino, about 10 minutes away. 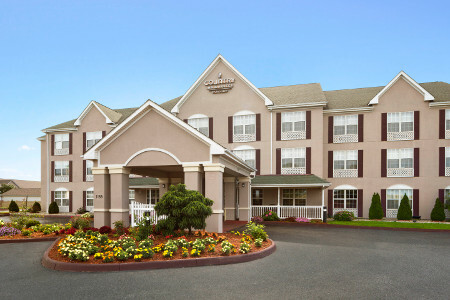 Hotel amenities like free high-speed Internet access and a heated indoor pool with hot tub make your stay enjoyable. Our free, hot breakfast provides delicious items like Belgian waffles, eggs and yogurt to start your day off right. 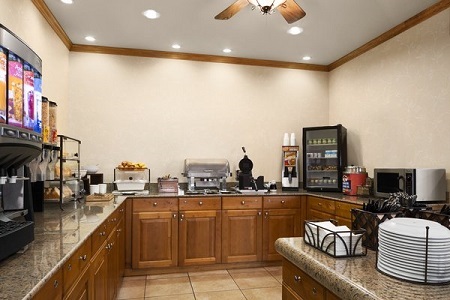 We’ve got something for everyone’s taste at our free, hot breakfast, served every morning. Fill your plate with Belgian waffles, eggs and muffins, or opt for health-conscious choices like yogurt and fresh fruit. A variety of nearby dining options are available, like Cracker Barrel, which is a walk away. Other local favorites include Emelio’s Restaurant and Roadhouse Wings & Grille. If you’re in the mood for an afternoon pick-me-up, Pistacia Vera serves Parisian-style pastries and delicious coffee. Center of Science and Industry (COSI) – About nine miles east, COSI has more than 300 exhibits, including working labs and planetarium shows. Be sure to see a 3D film and visit the interactive exhibits for kids. The Ohio State University (OSU) – Head to Ohio Stadium to root for the Buckeyes on their home turf. About a 15-minute drive away, this nearly 2,000-acre campus is also home to a variety of music and theater performances at the Wexner Center for the Arts. Columbus Zoo and Aquarium – Drive about 20 minutes north to see more than 7,000 animals on display. Kids won’t want to miss the reptile lab, the kangaroo walkabout and the polar bear exhibit. 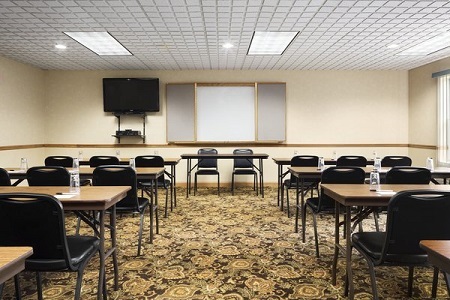 Our on-site meeting facility is a great place to host events for up to 35 guests. We offer amenities like a dry-erase board, overhead projector, TV and flip chart to help make your presentations successful. 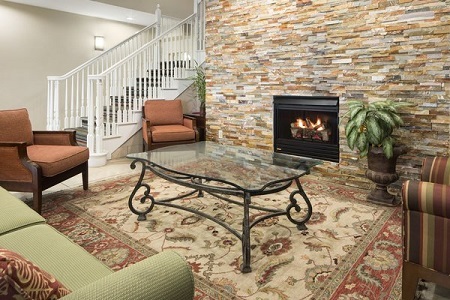 You can also take advantage of free Internet access and complimentary coffee and water for your guests.